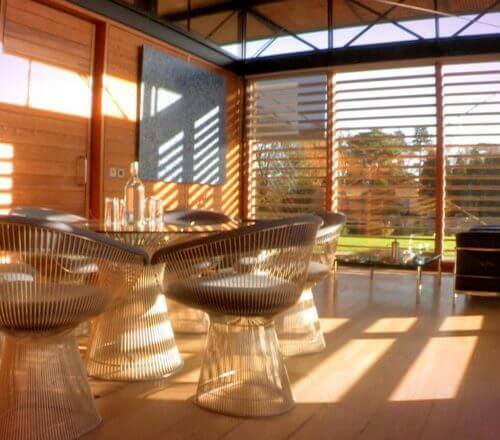 Utopia is a contemporary building, originally constructed in 2005, that sits in the centre of the rural Broughton Hall business park near Skipton in Yorkshire. 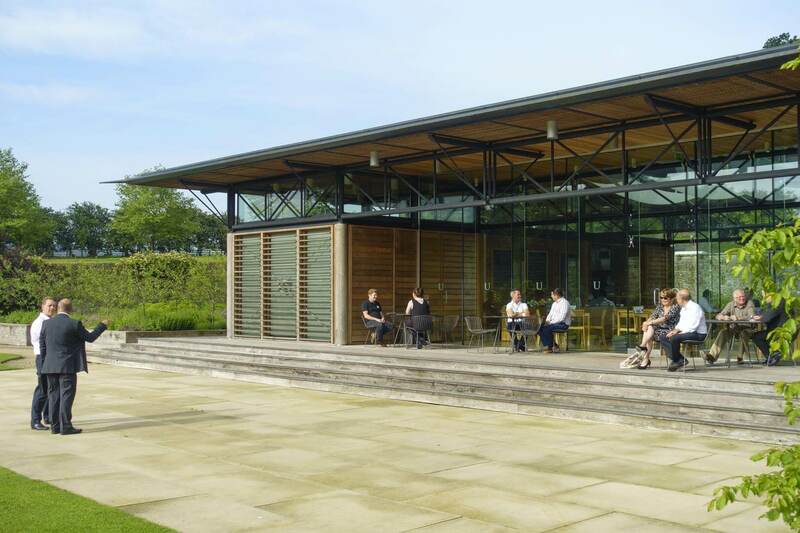 The ultra stylish and sophisticated cafe located on the estate provides a social base for over 50 businesses on the Broughton Hall Estate. 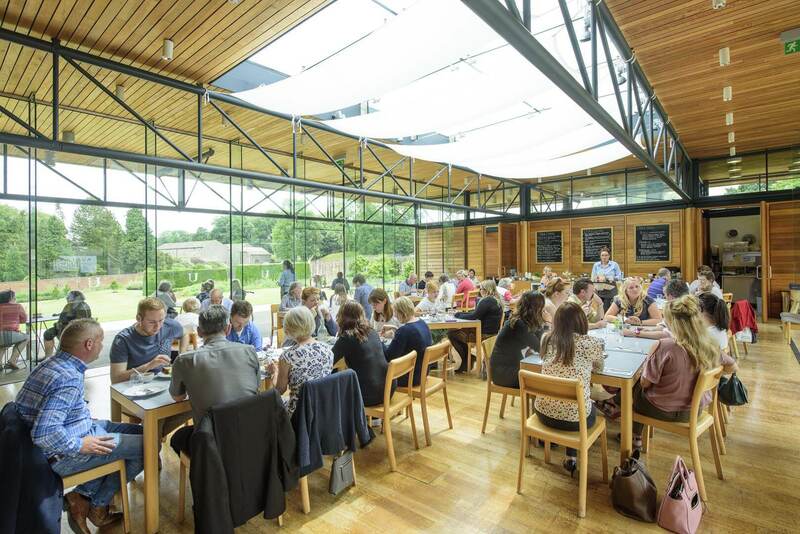 Utopia is a welcome distraction from the working day and a popular lunchtime retreat for the Broughton Hall Business Park clients. 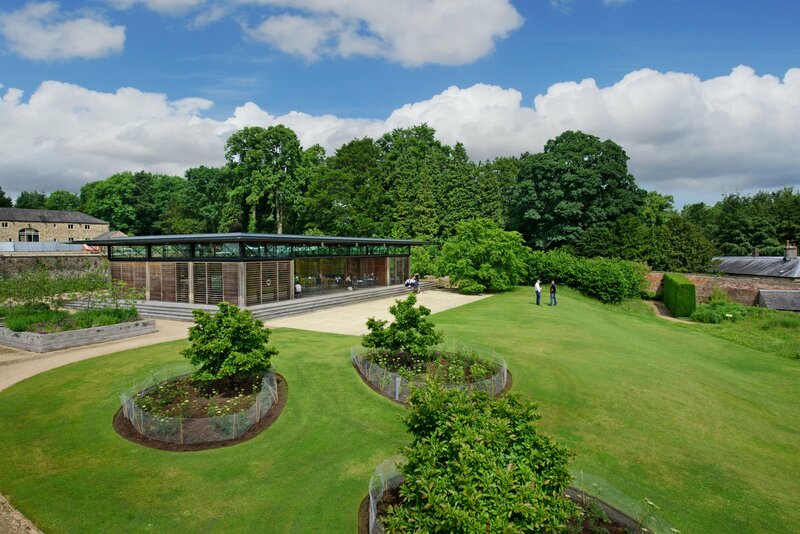 A high red bricked walled garden surrounds the contemporary building making it secluded within this extensive Yorkshire business village. 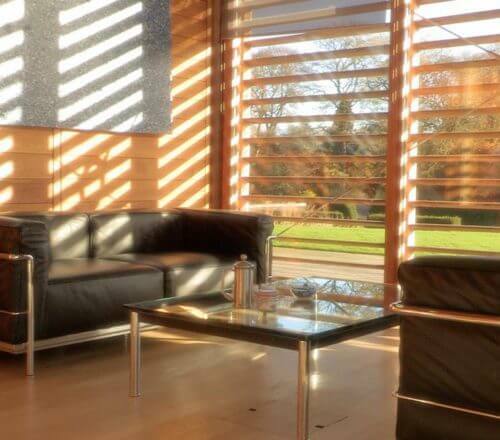 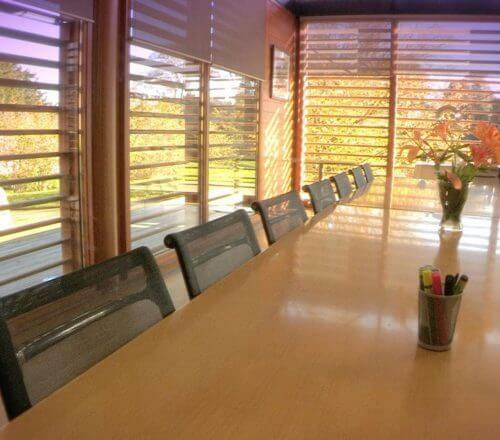 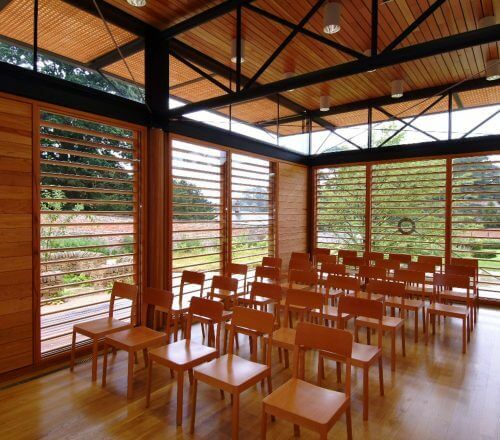 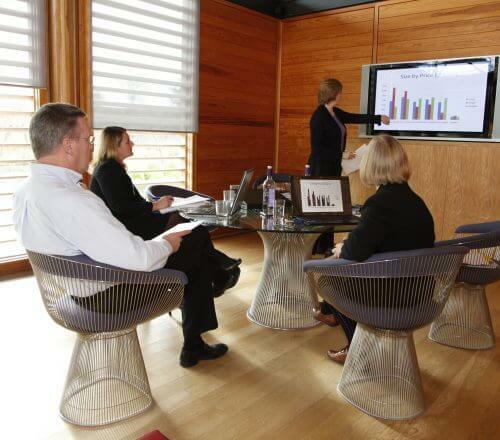 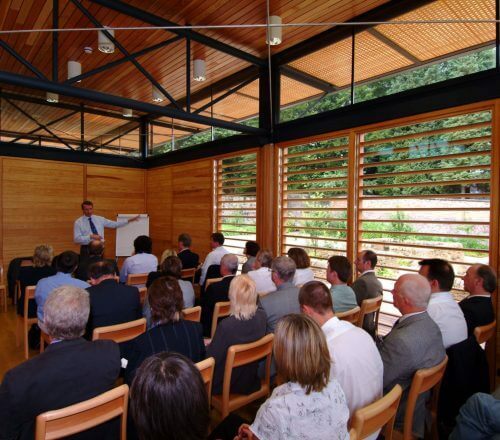 This unique venue was also designed to offer private executive meeting and conference space for both the Broughton Hall Business Park and outside companies. 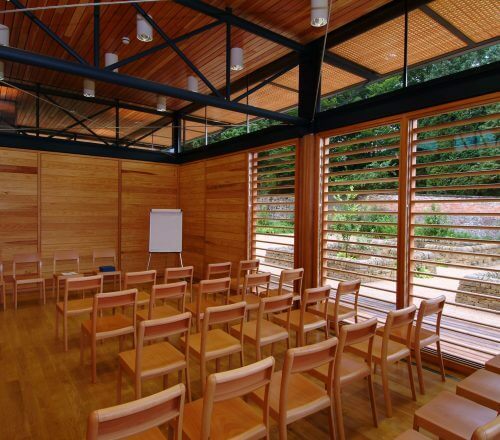 The central area of Utopia can accommodate a large conference or theatre style layout, with good acoustics for keynote speaker events. Team building activities can also be accommodated in the walled garden. 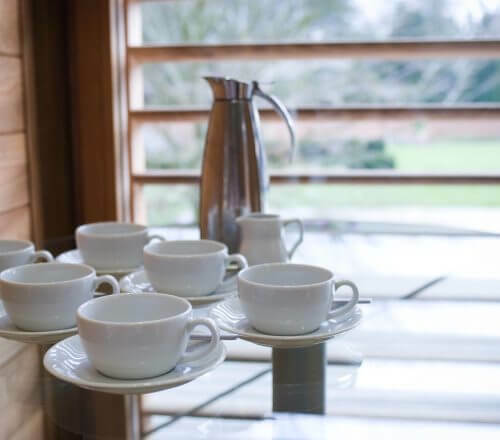 For more information on hiring Utopia for meeting rooms or private events please download our Utopia Business Packages or contact the Broughton Estate Office on 01756 799608.